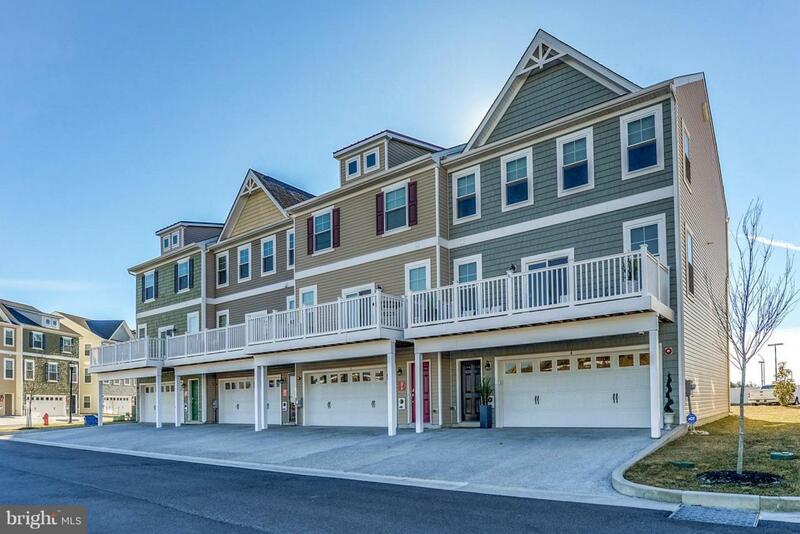 Views of the Ocean City Skyline from this four year old end unit town home in West Ocean City with large outdoor balconies. Deeded boat slip #28 included with sale and conveniently located directly behind townhome. Slip is improved with boat lift and low annual taxes of $175.85. Low condo fees of just $130/month and a strong condo association with a large reserve account. Windows and slider doors are an upgraded glass and property is well insulated. Downstairs den could be used as a 4th bedroom. Garage is finished with upgraded custom painted floor. Owner improved rear patio by having a concrete slab poured. Exclusions All Furniture Tvs And Wall Mounts Electronics And Speakers Wall Hangings Decor And Personal items.